Bali Restaurant Feyloon is tasty Chinese restaurant by Hong Kong chef. It is popular store for local Indonesian people and tourists. They have an aquarium in the store and guests can enjoy eating fresh seafood there. They also serve dim sum during lunch time. 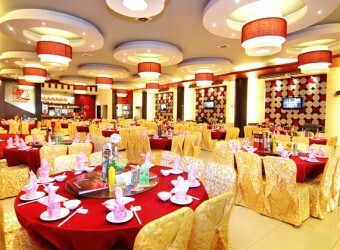 The store is based on yellow and red color and has broad space with 270 seats. It is recommended restaurant to eat Chinese cuisine in Bali.